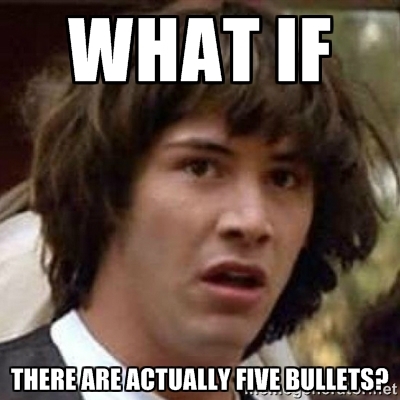 Yes, not one bullet. Not two or three, but FOUR bullets. God. Keanu. Just…just shut up and let me make the big announcement.